Food is something that is everyone’s favorite; one might forget the places he visits but always remembers the delicious food. An out of the box dining experience is something that catches everyone’s eyes. There are lots of restaurants in the world, some of may have become your favorite till now, but you know there exists many unique restaurants in the world. Travelplanet has listed some of them for you. 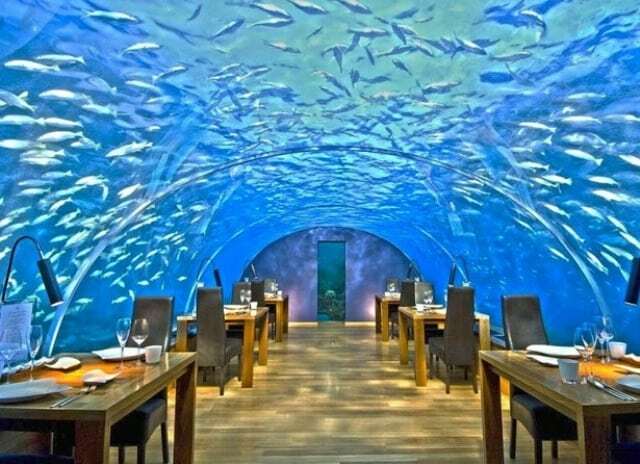 The world consist a large part of sea/ocean, but ever wonder dining underwater? This restaurant in Maldives lets you enjoy your meal while enjoying the view of under the sea. 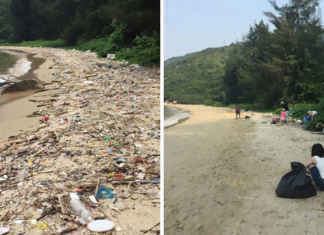 It is located 5 meters below the sea. The name of the place is Ithaa restaurant, which offers a 270 degree panoramic view of the Maldives’s crystal clear waters. Opened in 2007, it is the first Ice lounge in the Middle East. 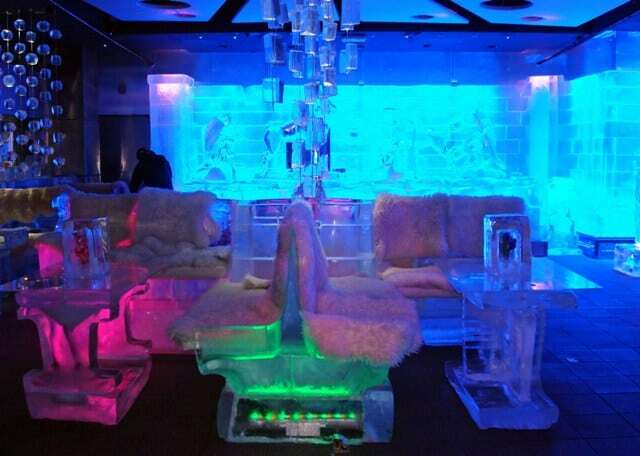 This restaurant is made up of ice, from the seats to glasses, everything is made up of ice. This Chillout restaurant will give you a chilling experience. The temperature out there is subzero; you don’t have to feel the hot waves outside just chill at this restaurant. Ice sculptures are done beautifully. Carry your coats inside. We all love the sky, don’t we? But do you know you can have your meal up there? 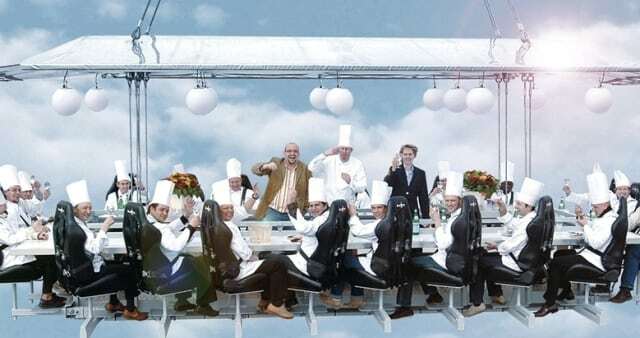 Yes, a meal 150 feet above the sky, heavenly and fresh food is served to you while you enjoy the mesmerizing view of the sky. Don’t worry about the safety the diners are belted into chairs. This is a must try once in a lifetime. 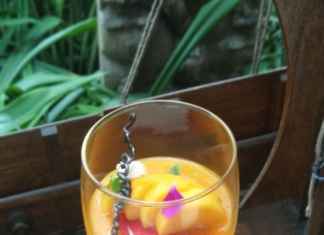 As the restaurant gained popularity, it is now offered for a limited period of time in different cities. 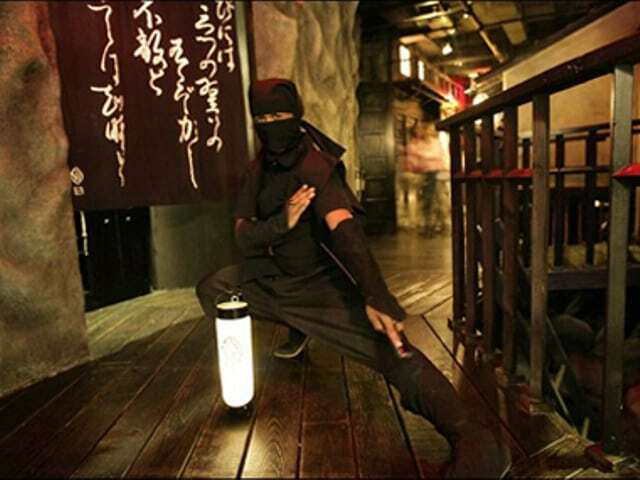 It looks like 15th– century Japanese feudal village where you are welcomed by the waiters who are dressed like ninjas. Wait until they get your order served while performing magic and tricks. Your dining experience will be filled with amazement. The concept of dining in the dark was introduced in 2006 by O.NOIR. 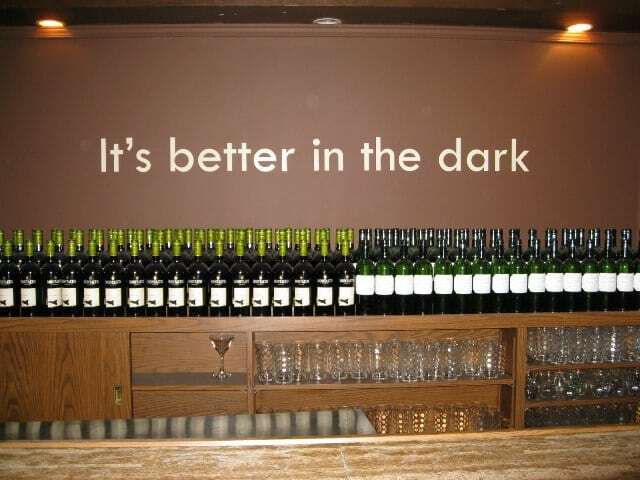 The food here is served in darkness. The dinner service began with the waiters explaining where the food has been placed on the table; the idea has been similar to the novel “Blind date”. Cell phones, flashlights are prohibited inside.